Referral Slip with X-Rays - Please bring your surgical referral slip and any x-rays, if applicable. The Patient Registration Form - This form must be downloaded, printed, and filled out to ensure that your doctors are well-informed of your medical history and current health needs. A list of medications you are taking can either be written into this form or attached. Medical and Dental Insurance - If you have medical or dental insurance, bring the necessary information. This will save time and allow us to help you process any claims. IMPORTANT: All patients under the age of 18 years of age must be accompanied by a parent or guardian at both the consultation and surgical visit. A preoperative consultation and physical examination is mandatory for patients undergoing IV anesthesia for surgery. Please have nothing to eat or drink eight hours prior to your surgery. You will also need someone to drive you home. 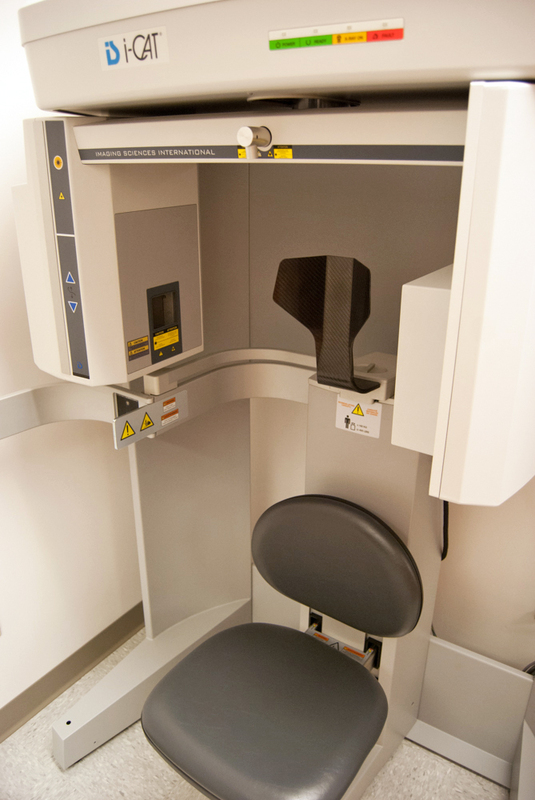 Our practice utilizes state-of-the-art, full-cranial cone-beam CT (computed tomography). This technology provides full-cranial, highly accurate 3-D radiographic images for the diagnosis, planning, and treatment of orthodontics, implantology, TMJ analysis, airway assessment, oral and orthognathic surgery, and other dental procedures. Undistorted, anatomically correct views of the jaws, teeth, and facial bones along with cross-sectional (bucco-lingual), axial, coronal, sagittal, cephalometric, and panoramic views are easily generated. Three-dimensional images enable a level of anatomical accuracy and patient care not possible with 2-D technologies. Looking for more patient information? Go back to our dedicated patients page here.